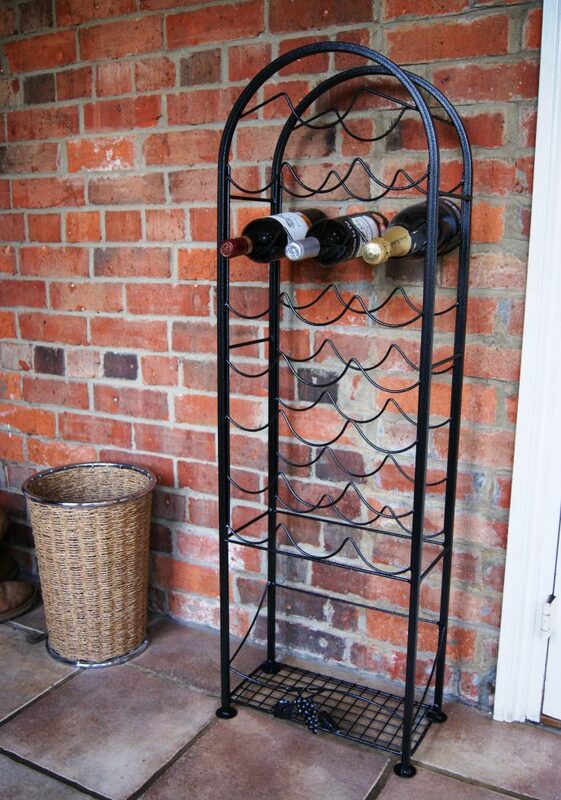 Solid Steel 22 Bottle Wine Rack is one in a range of unique wine racks that are both stylish and practical. 22 Bottle Wine Rack is the perfect storage solution for wine bottles. Manufactured from solid steel and coated with polyester black paint, this Wine Rack is durable and robust. This unique, freestanding Wine Rack is both stylish and practical.